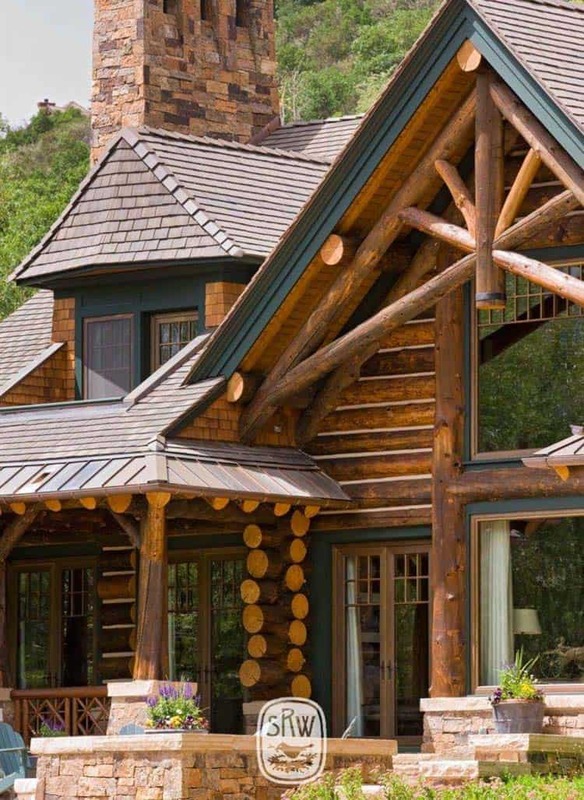 This timber frame mountain home has been designed as a year-round family vacation retreat by architects Shope Reno Wharton, located in Aspen, Colorado. 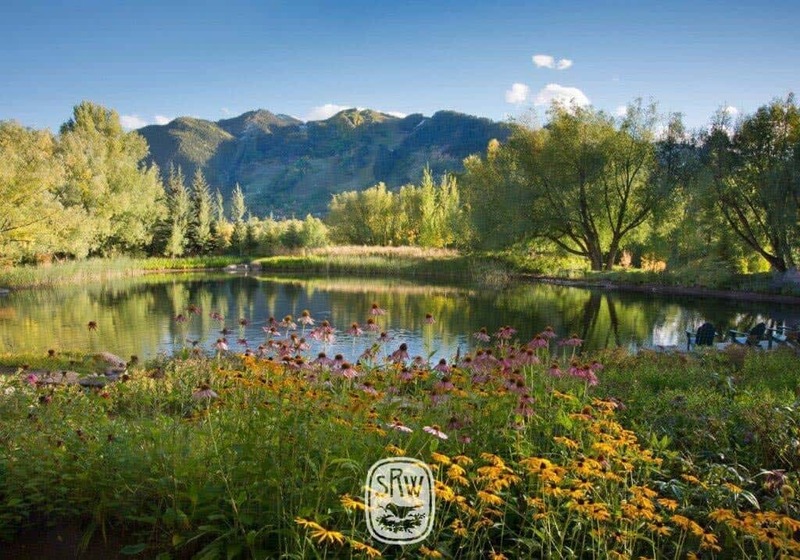 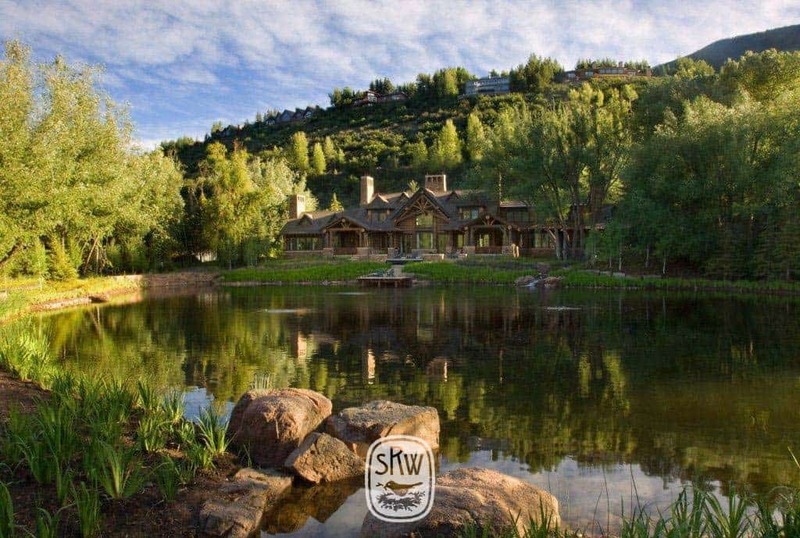 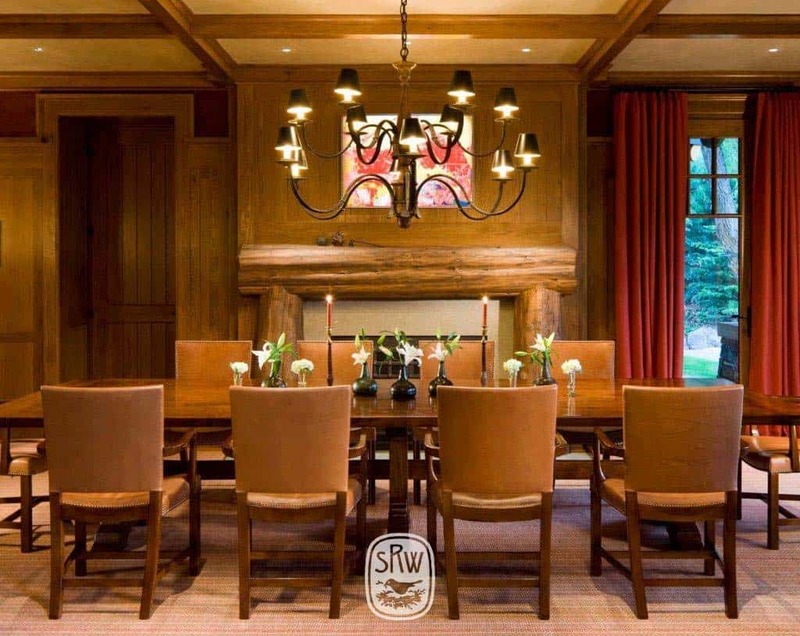 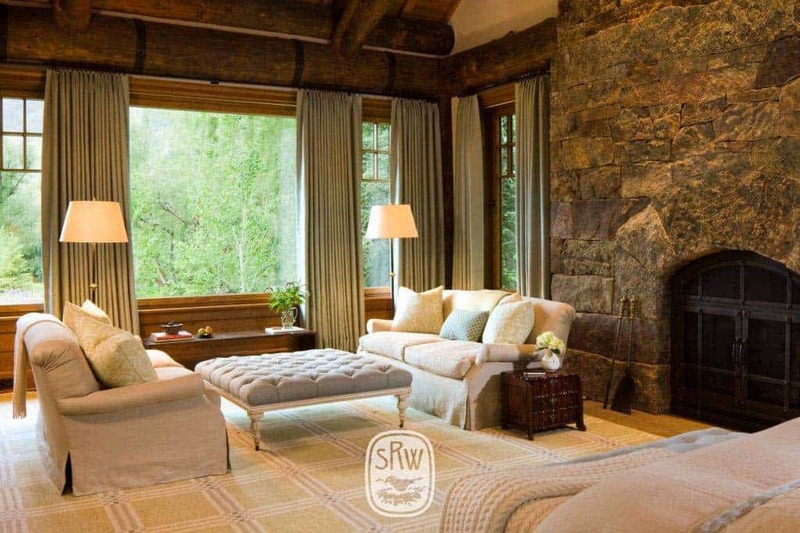 Surrounded by 1.6 acres of property, the residence is nestled on a wooded slope with views over Aspen and the ski slopes. 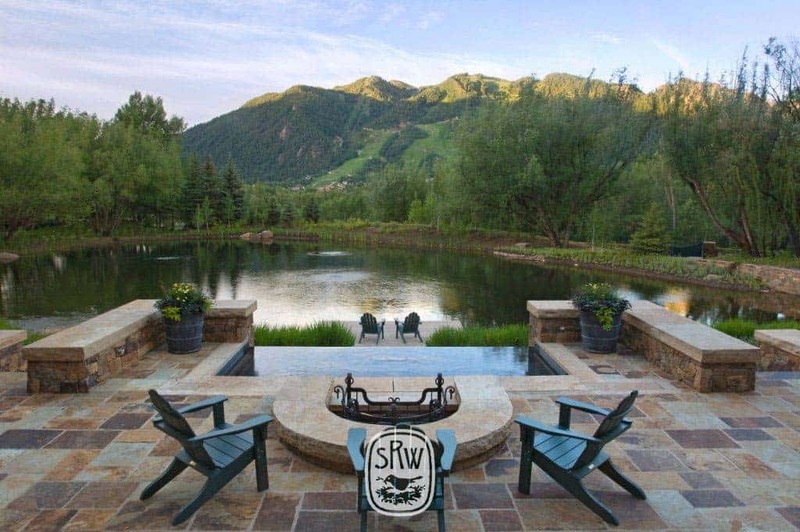 With plenty of activities, of skiing in the winter and hiking and biking in the summer, this is the perfect holiday pad for the outdoor enthusiast. 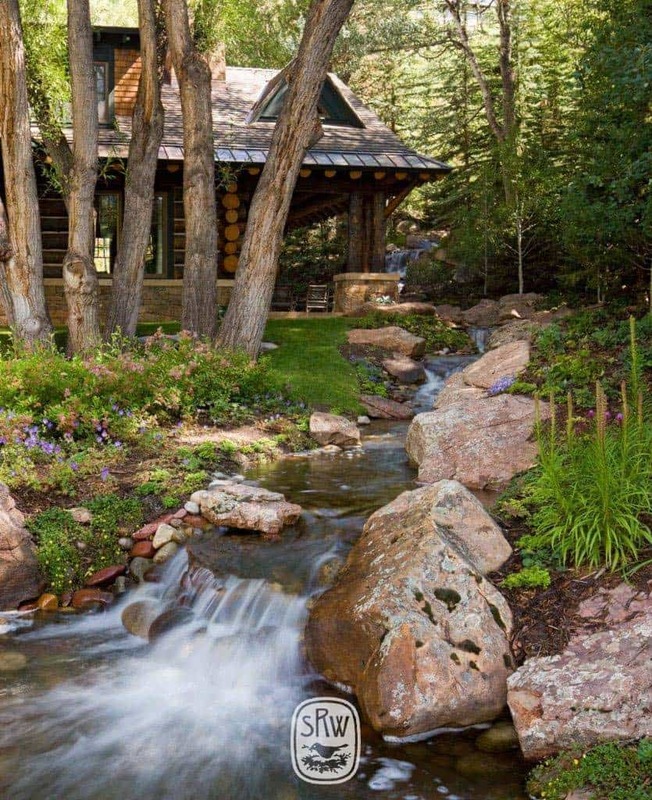 There is a nicely flowing stream that trickles along the edge of the property which feeds a clear pond offering beautiful views from the home. 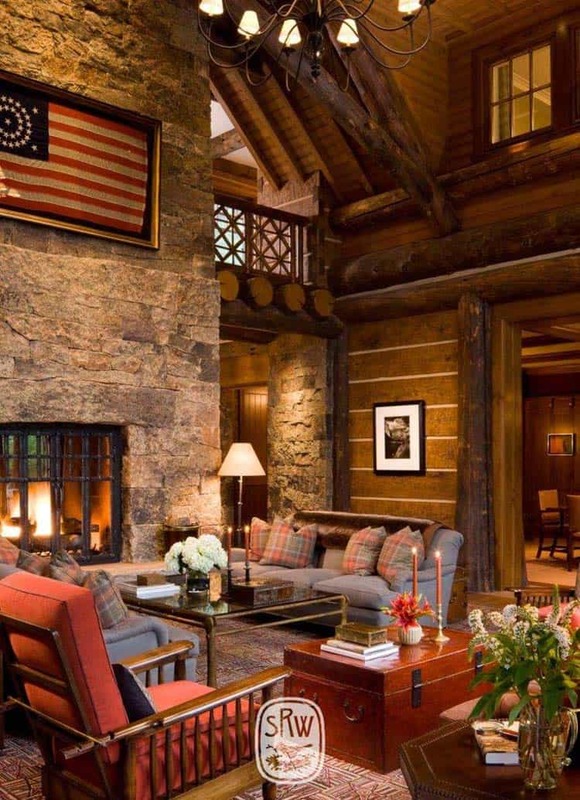 The exterior facade of this mountain retreat draws on the Western architecture of the infamous national park lodges. 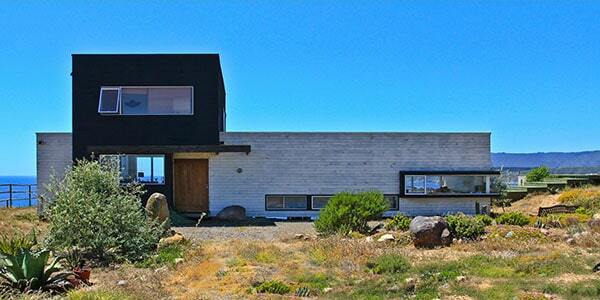 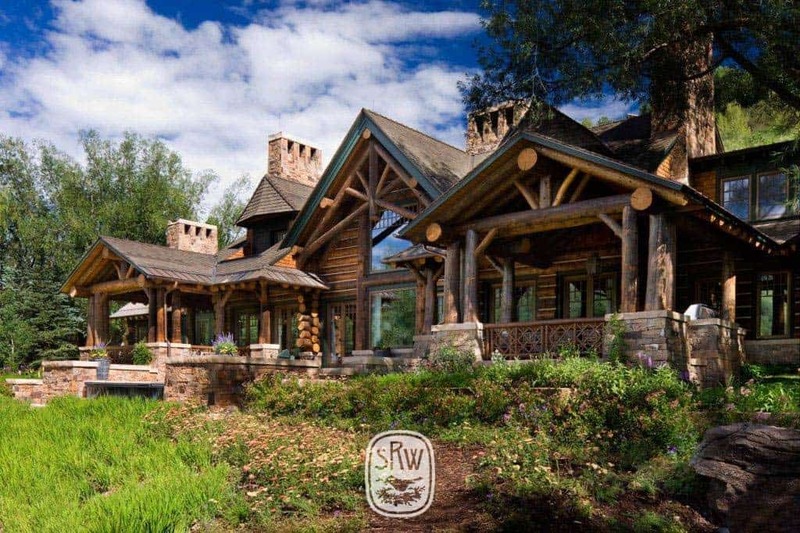 The homeowners wanted their home to represent the character of the Rocky Mountains. 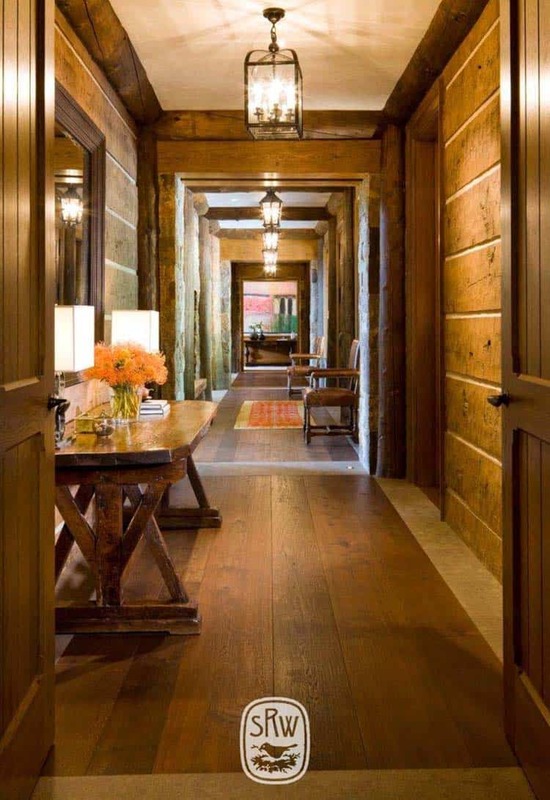 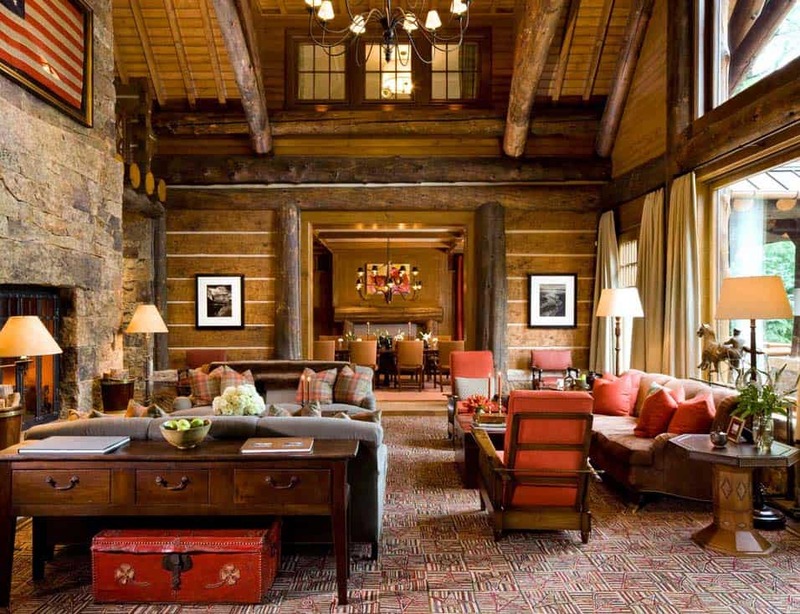 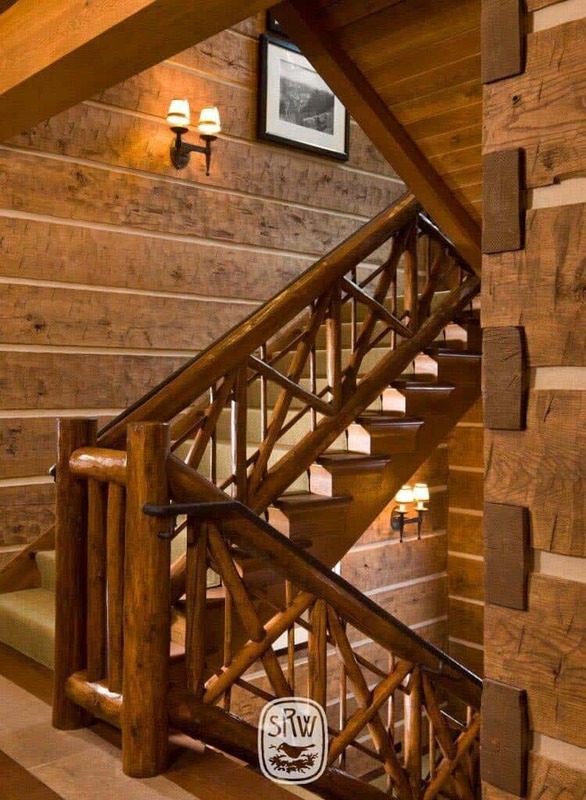 The interiors had a semi-formal layout, so the architects added some rusticity to it through the use of stone masonry and massive log walls, typifying vernacular architecture. 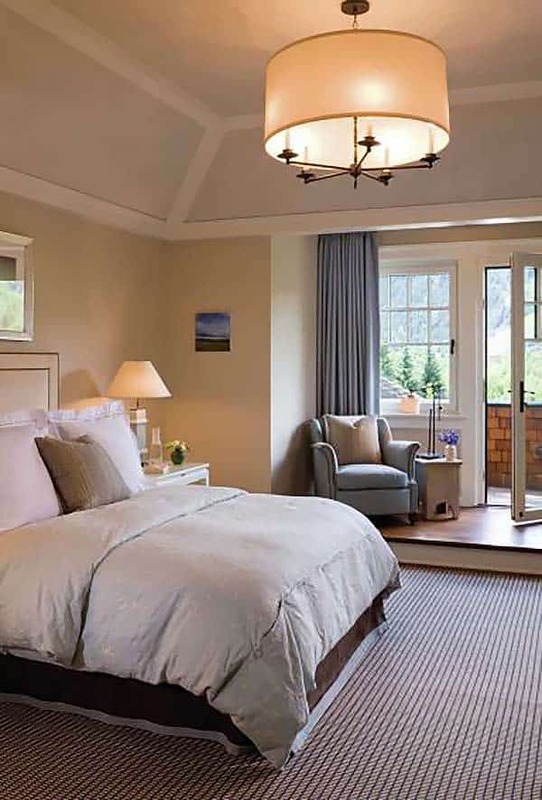 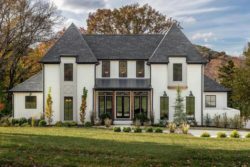 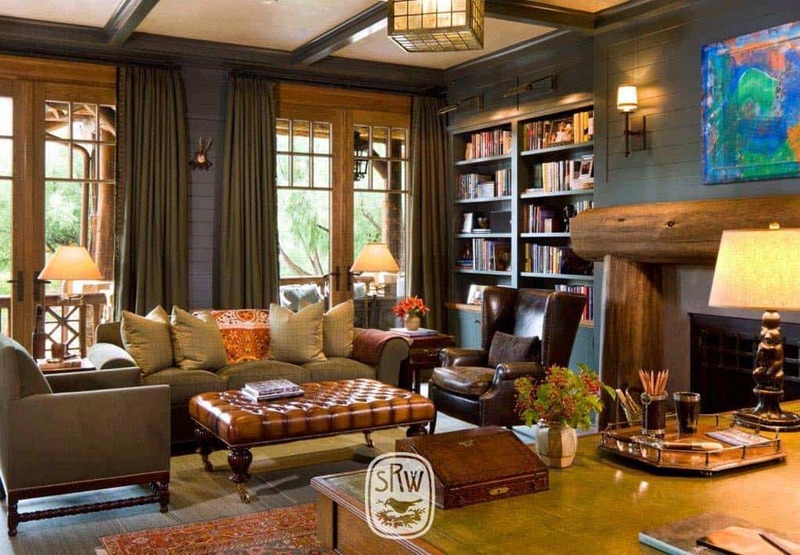 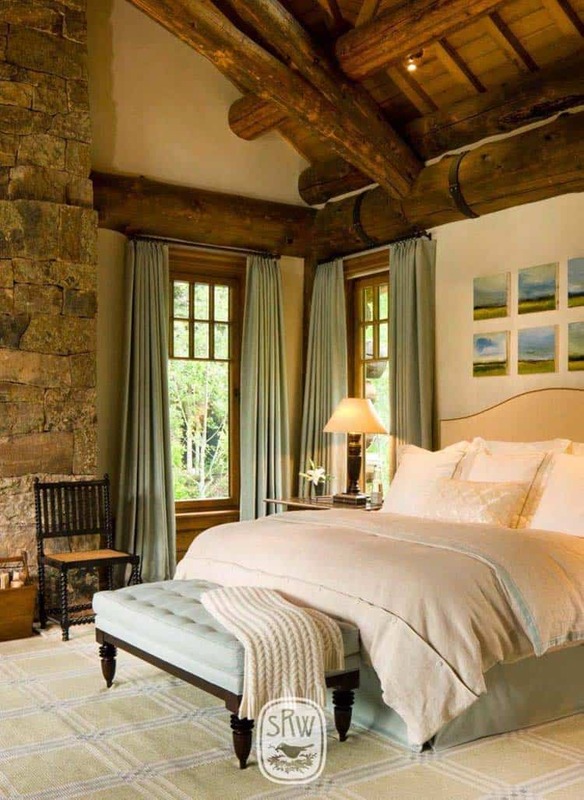 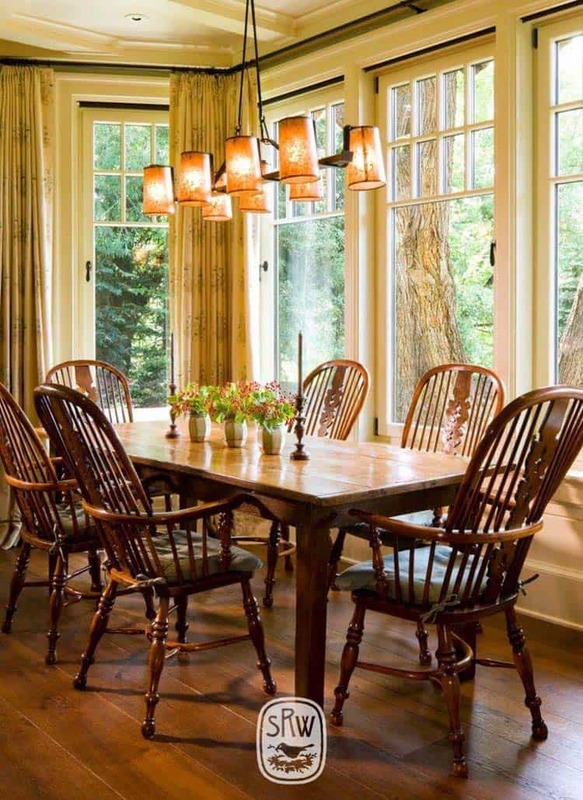 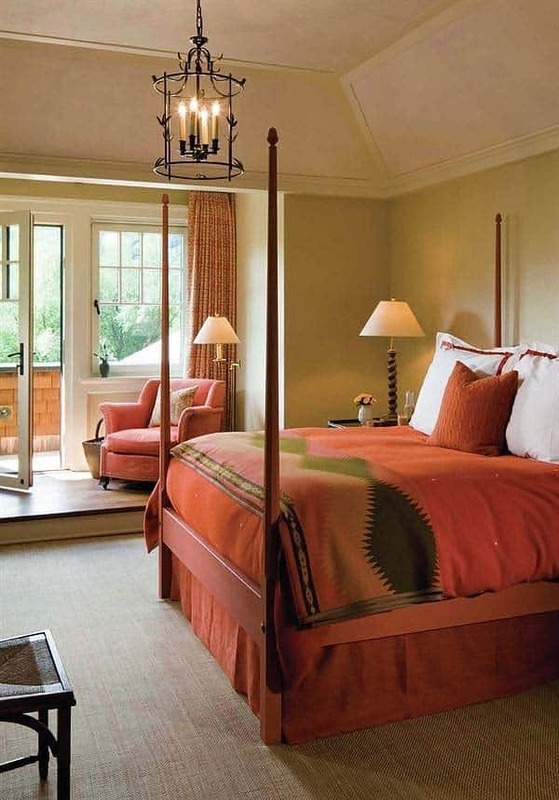 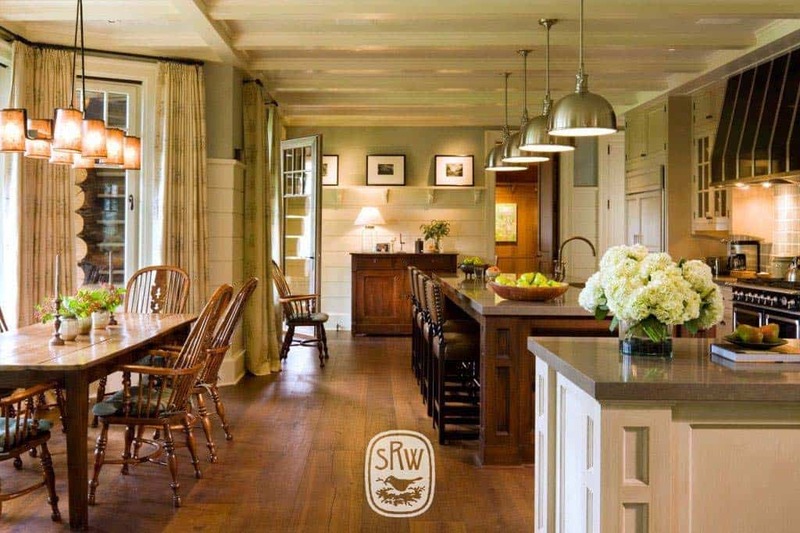 The interior design of this timber frame home was carried out by Victoria Hagan Interiors who created cozy and warm living spaces throughout the home that are very timeless. 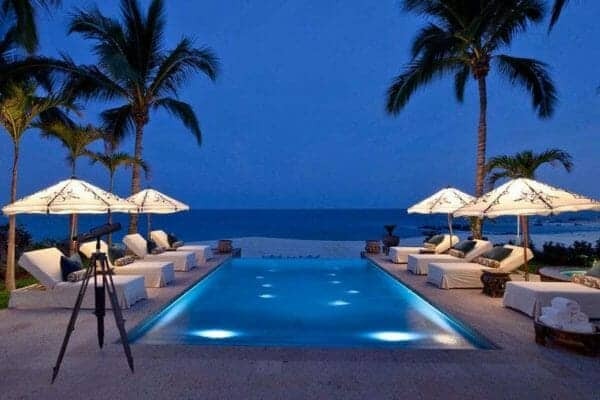 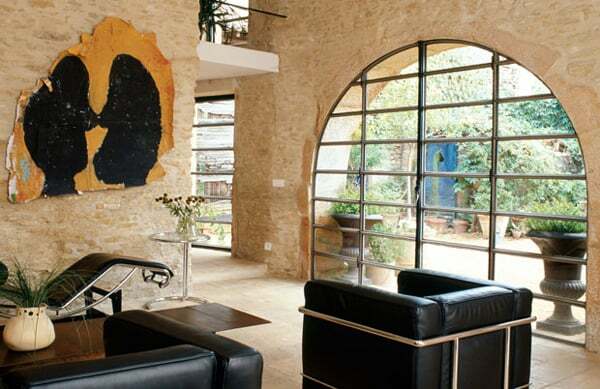 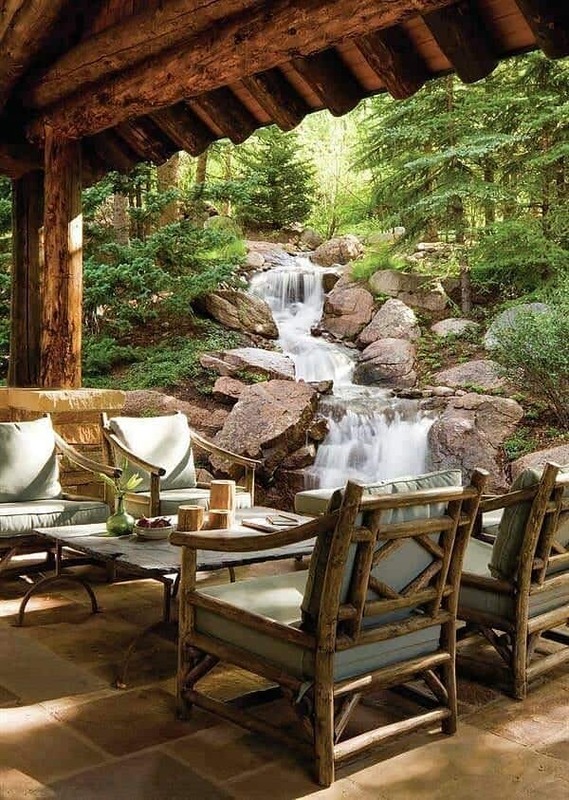 There are several outdoor spaces for the owners to enjoy the beautiful natural environment that surrounds them. 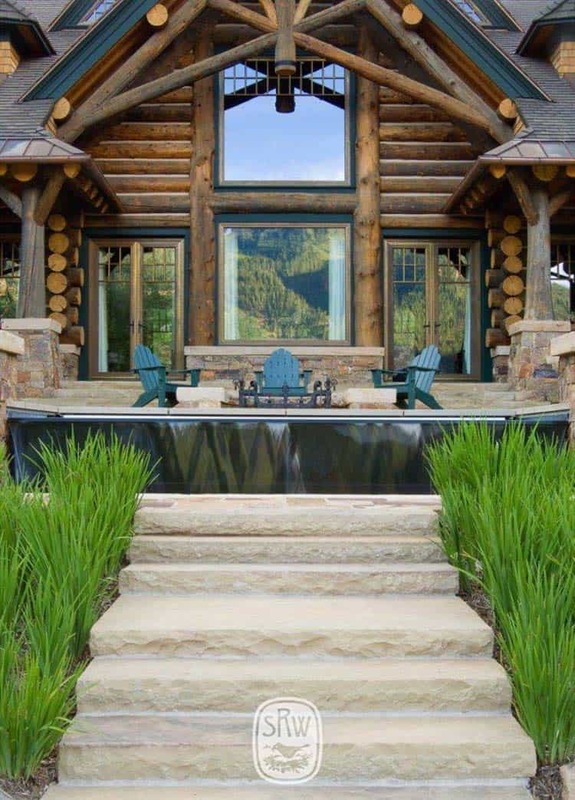 There is a stone deck on one side of the structure and stone stairs that leads to a hot tub patio on another side. 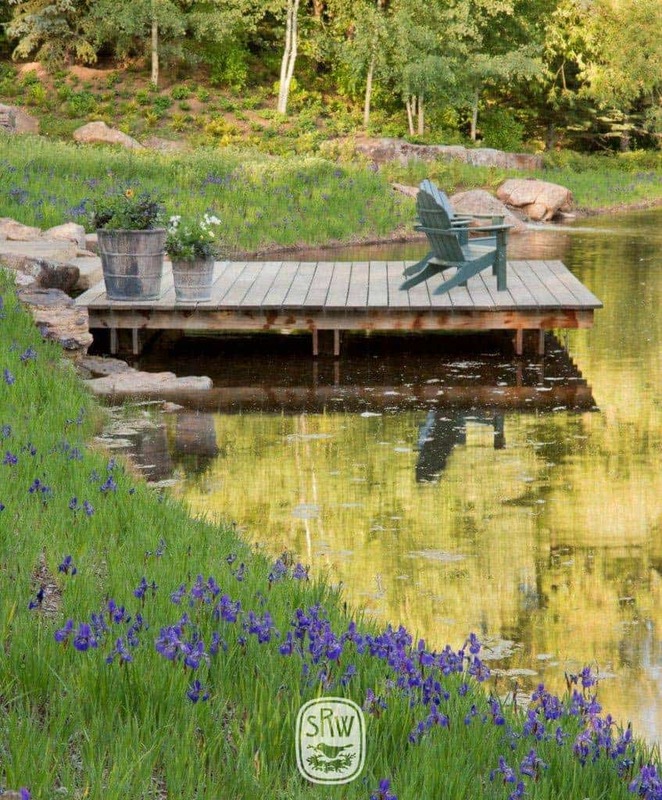 A boat dock in the pond area allows the perfect spot to go trout fishing. 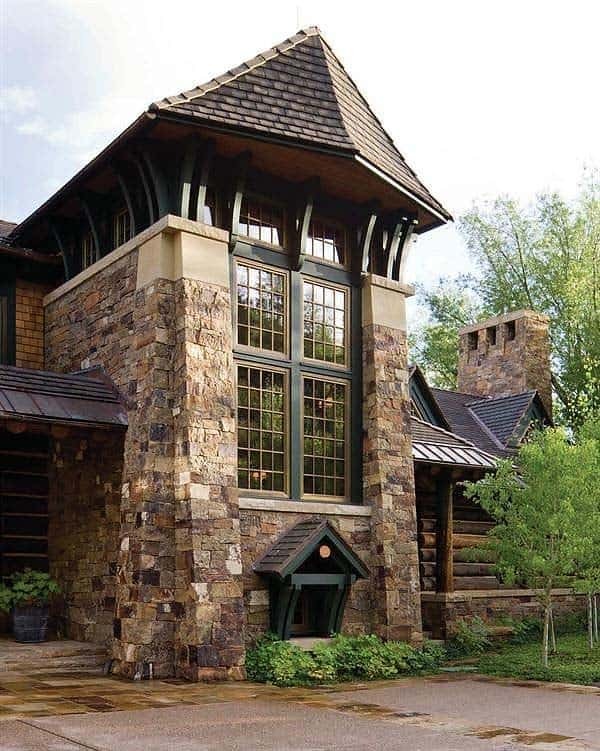 Off the kitchen and towards the stream is a more private porch area which features a striking outdoor fireplace. 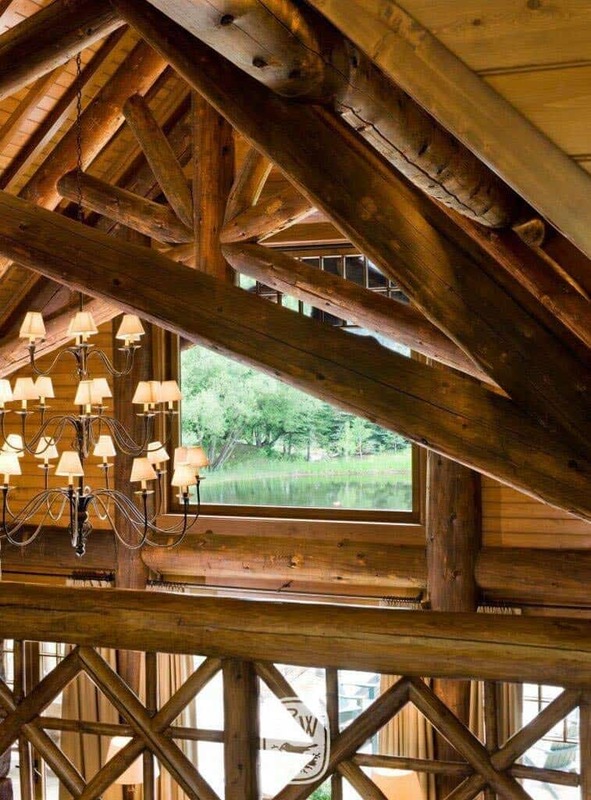 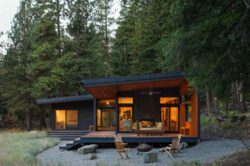 What We Love: We just adore this timber frame mountain retreat, it has been beautifully designed and offers everything one could possibly wish for. 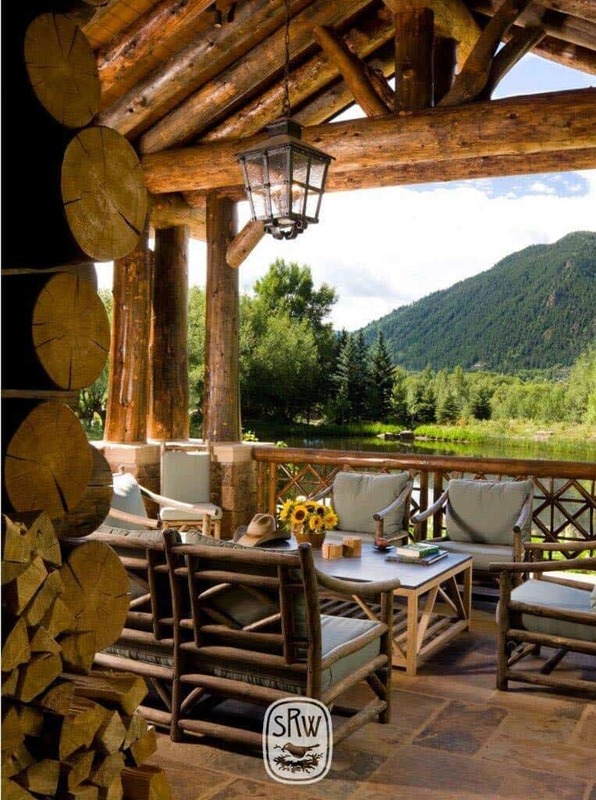 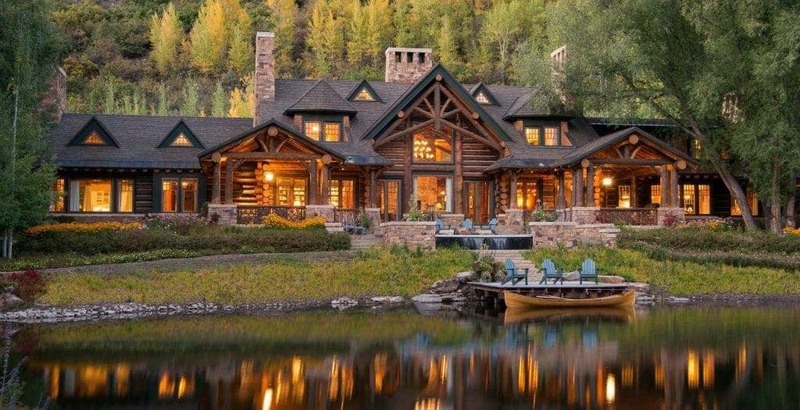 An outdoor lovers paradise to enjoy throughout the seasons, with some incredible views of the Rocky Mountains as your backdrop… Readers, what do you think, could you vacation here? 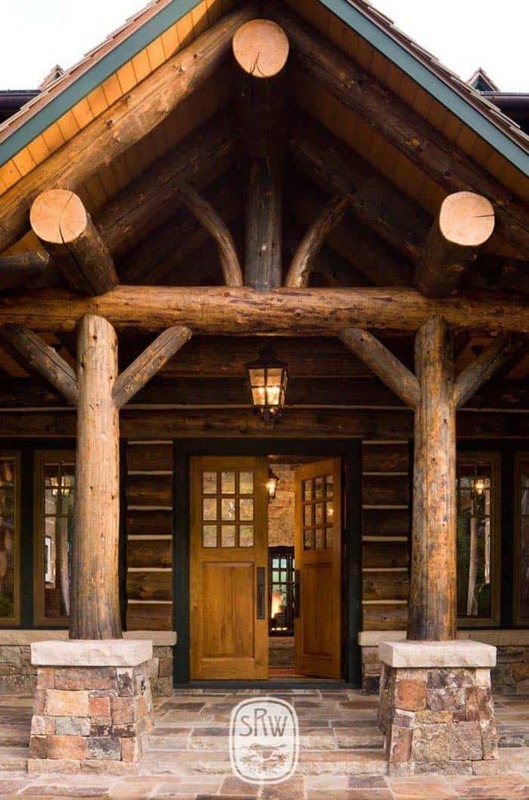 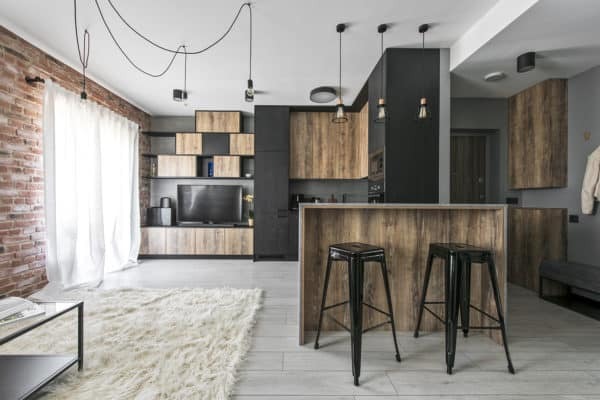 What details in this home caught your eye, please share in the Comments! 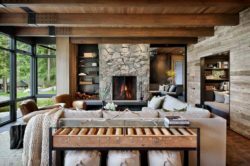 Note: If you love looking at mountain homes as much as we do, we have plenty of past features here on One Kindesign to share with you, have a look: Contemporary mountain home in Aspen by Poss Architecture and Bavarian-style luxury mountain retreat in Aspen.